BigBlue 94, itwasFREE!!! !, sackman9975 and 1 others like this. Advice? Three words: Pics, Pics, and Pics. Build pics, wheeling pics, show n shine pics, more wheeling pics, poser pics, pics at night, pics during the day, pics in the rain, pics towing something, more wheeling pics, flexing pics, and more pics. BigBlue 94, sackman9975, milan65 and 2 others like this. Take a look thru some of the previous contests. It will give you a pretty good idea of some good ways to run. 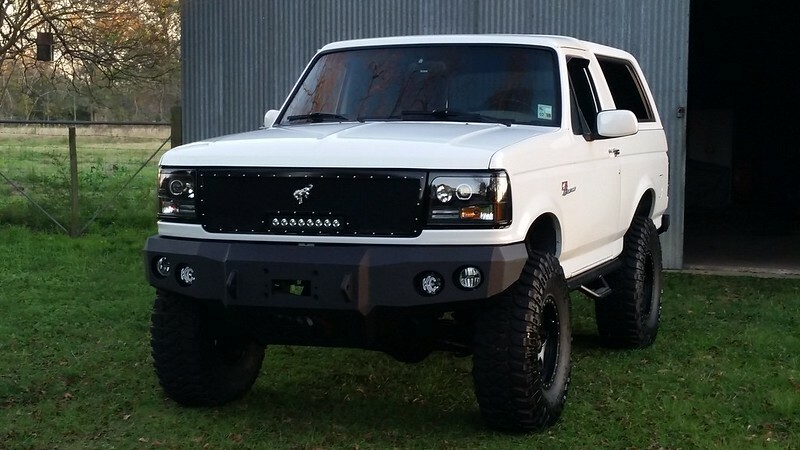 93 Eddie bauer, 351 with 160k miles, 6 inch lift cherry bomb extreme muffler, 35x12.5s on 20x12 wheels, custom front bumper, bushwackr flares paint matched to the lower body trim. And the competition starts tomorrow!!! Has that ever happened? A one post member (for 7+years) getting nominated? No better way to get to know someone I suppose! I drummed him up from my post on the FSB FB page ... he said he hadn't been here for awhile but wow .. lol Nice BKO though !! Anyone “Wanna-be”? Post some pics and a little about it....let’s get this ball rolling! Do you think it's worthy? 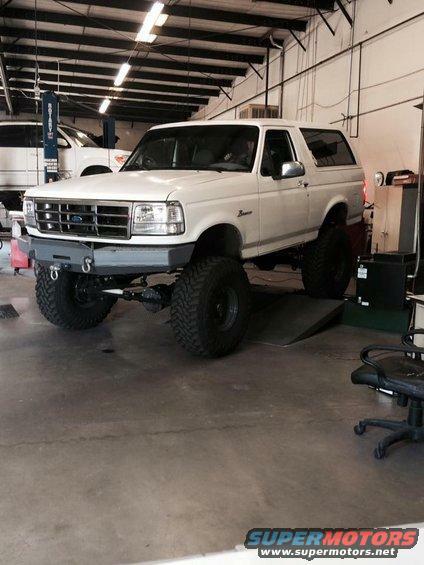 This is my 1995 Bronco Sport. I bought it in 2014 from a fireman from Warrior Alabama and it was the fire chiefs ride for a couple years and after that it was used as a back up. It was in great shape with no rust and only about 88k miles. Last edited by Warhoss; 04-03-2018 at 05:32 PM. BikerPepe`, itwasFREE!!! !, milan65 and 1 others like this. You guys sure you have enough pics, upgrades, story’s to last a month long of posting? I just don’t want it to be no shows when March comes around. That’s more like it! Hell ya! 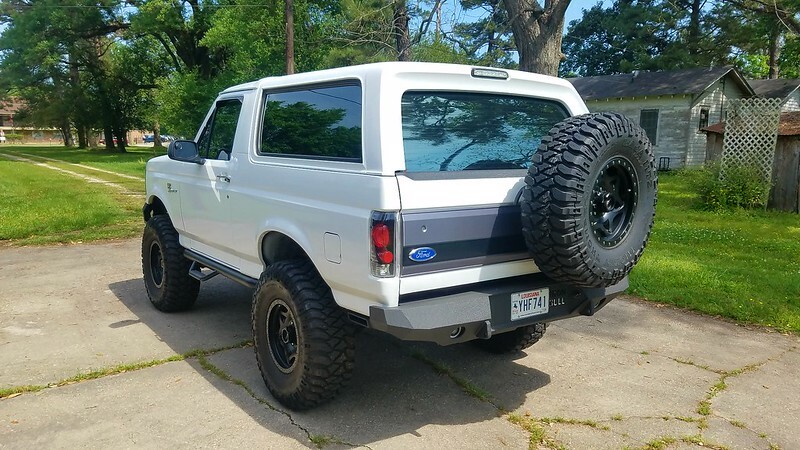 @Warhoss , clean looking bronco...get some posts and collect pictures. @RicksBroncoBeast , I have watched some of your videos that I stumbled upon through the tube of you...got to love a diesel! itwasFREE!!!! and milan65 like this. Ill throw my name in the hat! Last edited by schwim; 06-03-2018 at 03:59 PM. Put my name in there anytime you need a filler. well... from that post, we can't even tell if you know how to post a single pic, much less a months worth. I was a bit hesitant to post this photo, since it's not the typical wild off-road shot that is often seen here. 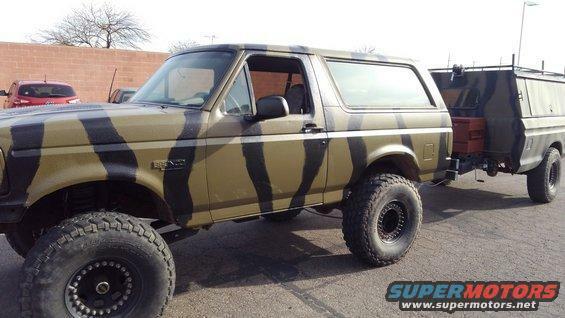 However, my Bronco has survived a very hard life & has absolutely nothing to prove. It's a real survivor in more than one way! 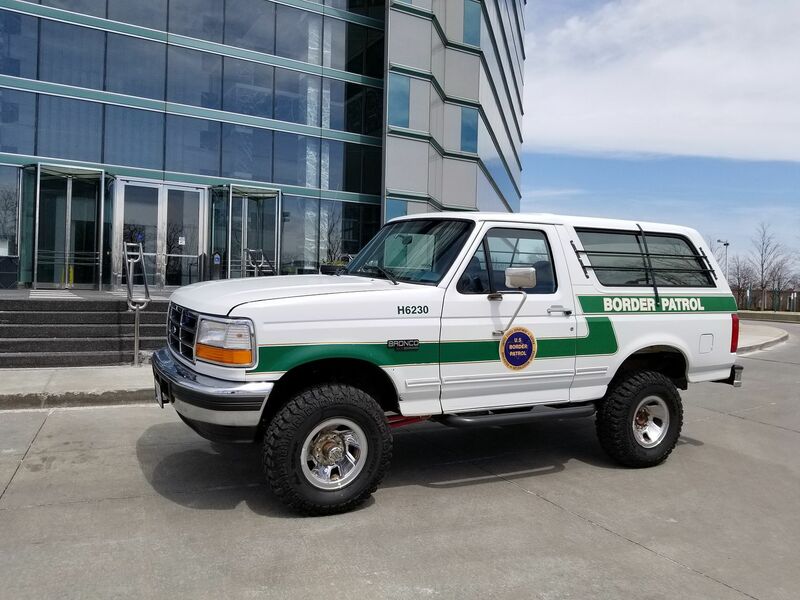 More than 20 years ago, I was driving this Bronco as a new agent with the U.S. Border Patrol. 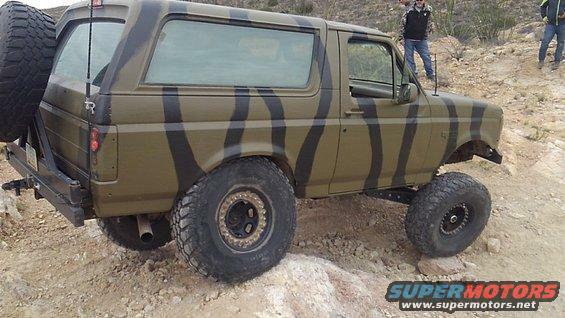 Many other off-road trucks came after it, but the Bronco was always my favorite. Eventually I decided that I'd like to find one of the old trucks, and after searching for many years, and thinking that I'd never find one & would have to build a replica, I came across this one once again. It truly was in sad shape when found. It's taken a little work to get her back on the road, but to me, every dollar spent was well worth it! And I'm sure there will be many more spent in the future. It's slightly modified from stock, but the mods were all done by the government prior to sending it to the border. BigBlue 94 and aeufracio93 like this. did it come with little immigrant kids in the back? sorry. I couldn't help myself. I should be ashamed of myself... but I'm not real good at that. looks like a real nice ride man. do you ever get hassled about it... "impersonating and federal agent" or the like? looks like it could be worthy contender. I'm sure you'll get hit up with a quickness. look forward to seeing more.